Tailor-Made Property Services is owned and managed by husband and wife team Paul and Rebecca Carré. 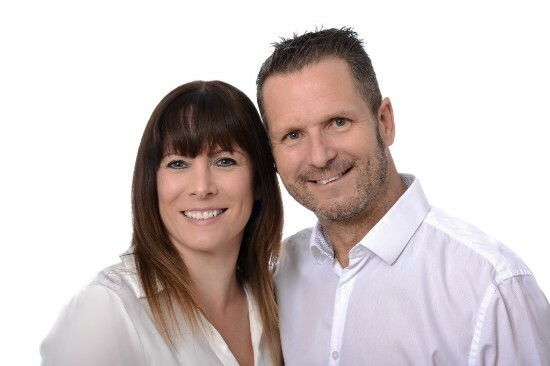 In 2012, Paul and Rebecca joined forces professionally as well as personally, and set up Tailor-Made Property Services as a boutique services provider, with the aim of delivering a reliable, flexible and professional property service at an affordable price – the kind of service they’d like to receive themselves. Paul has always worked in the property industry, previously as a regional area director, and is a fully qualified gas engineer. Rebecca previously worked in front of house management in privately-owned five-star country house hotels, and is a property industry professional, having started Harrison Bex Inventory Services in 2010. Rebecca is a skilled carpet cleaning technician and arranges property visits. She also contacts tenants on your behalf if needed, and keeps you up to date with what’s going on. While Paul, as an experienced gas engineer, attends many of the jobs himself. All our contractors carry an appropriate level of public liability and professional indemnity insurance and constantly have their work checked for quality. They are all DBS checked too. Today, Paul and Rebecca work with homeowners, landlords and residential property managers throughout Romsey, Southampton and surrounding areas with many clients having commissioned Tailor-Made Property Services since the beginning.